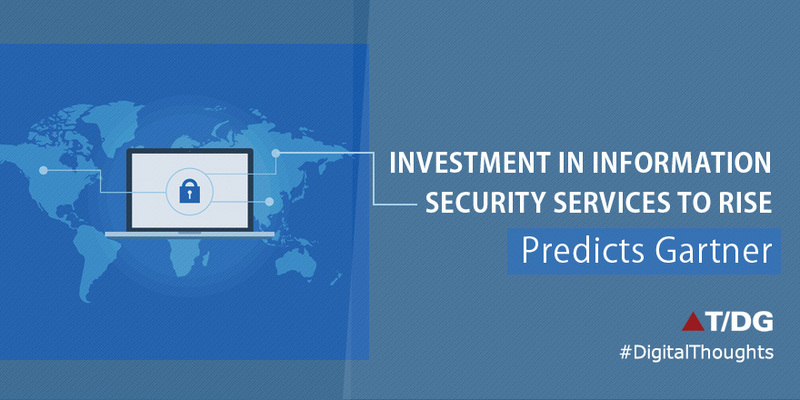 Gartner has predicted that worldwide information security spending will witness a growth of 7% in 2017, with the total amount spent reaching close to $93 billion in 2018. This indicates that more and more companies are waking up to the need for protection of sensitive data. Just this week, Amazon Web Services launched a new machine learning security service that helps its customers discover, classify and protect sensitive data. As per the Garner report, security services will continue to be the fastest growing segment, more so in the areas of IT outsourcing, consulting and implementation services. Naturally, the unprecedented demand for virtual and software as a service (SAAS) security services will adversely affect hardware support services. According to Gartner, the primary reason for this huge anticipated growth is the unstoppable acceleration in security breaches. Just consider the losses incurred due to all these breaches in the last 5 years put together, and you will see why companies would rush to get their security systems in place! And more importantly, given the risk, they would settle for nothing but the best. Today, the CEOs and the decision makers are getting more and more aware of the negative impacts that security breaches like the WannaCry and Notpetya can have on their business. This is only adding to the amount being invested in security services, as it is only logical to assume that any organization would prefer to take steps to prevent these attacks instead of tackling the problem once the damage is done. So, there’s no looking back! What is the GPDR? Well, for starters, it is the EU General Data Protection Regulation that will come into effect from May 2018. Once it’s in place, it will mandate any company around the world that deals with the personal information of European citizens, to take measures to protect that data from security breaches of any kind. If a company fails to do so, it is liable for a fine of up to 4% of its global turnover. Gartner believes that the EU GDPR has sparked a new interest in data protection services and it is estimated to influence buying decisions by 65%. A Gartner report suggests that the amount spent on information security products and services will reach $86.4 billion in 2017, which is a 7% increase from the previous year. What’s more, it is predicted to reach a staggering amount of $93 billion in 2018! By 2020, 40% of all managed security service (MSS) contracts will be bundled with other security services and broader IT outsourcing (ITO) projects. This will lead to a further increase of 20% as compared to the current value. However, not all security agencies completely agree with the Gartner report. There are others who believe that the 7% growth rate, as predicted by Gartner, is too conservative and that it does little justice to the huge growth that is anticipated. So, which are key areas that will experience the maximum growth? Let’s find out! Security testing market is also something that will contribute to a faster growth, more so when application testing forms a part of DevOps. Says RJ Gazarek, Product Manager at Thycotic, “Thycotic research on DevOps security practices has shown that more than 60% of DevOps organizations are not managing credentials in scripts in any way. This is a major security problem that needs to be addressed immediately, especially as more breaches are making the news, and people realize that the way into an organization is to find the department with the weakest security practice and get to work infiltrating." According to Gartner, Data Leak Prevention (DLP) is another area that will witness growth, which will be fueled by the fear of the stringent rules defined by the EU GDPR and its implications, and this is not going to slow down any time soon. Gartner feels that while most companies have the basic DLP measures in place, they will be looking towards enhancing it, more so in case of integrated DLP, such as Data classification, data masking and data discovery. If you’re wondering why, it’s because these are essential parameters required to comply to the GPDR for protection and retrieval and removal of data as desired by the user. While this huge anticipated growth in security services will bring a smile to the faces of vendors in Europe and North America, there is a cause of concern that needs to be considered. According to Gartner, the cybersecurity law recently approved in China only indicates that by 2020, more than 80% of the biggest investments in security services in the country will move towards locally produced products, affecting the business of security products manufacturers in the U.S and Europe. Also, the highly dynamic Asia-Pacific market, which has witnessed a 24% growth in 2016 alone, might move to Chinese products due to the highly competitive prices.